Anglerfish are found in some of the deepest parts of the ocean. They use a bioluminescent light as a beacon to lure potential prey. 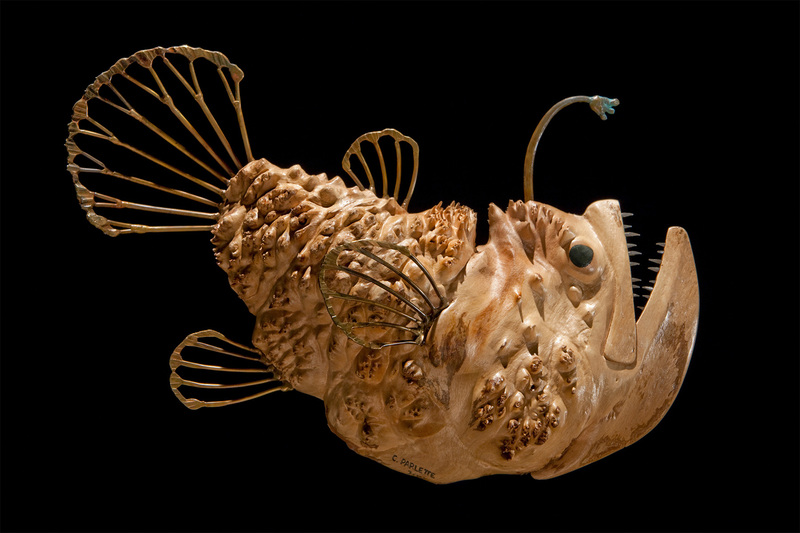 Once the prey comes within reach, it is swallowed by the anglerfish’s enormous toothy mouth. The Lure utilizes a piece of maple burl that is part carved, part natural for the body, while the fins are welded and hammered bronze.